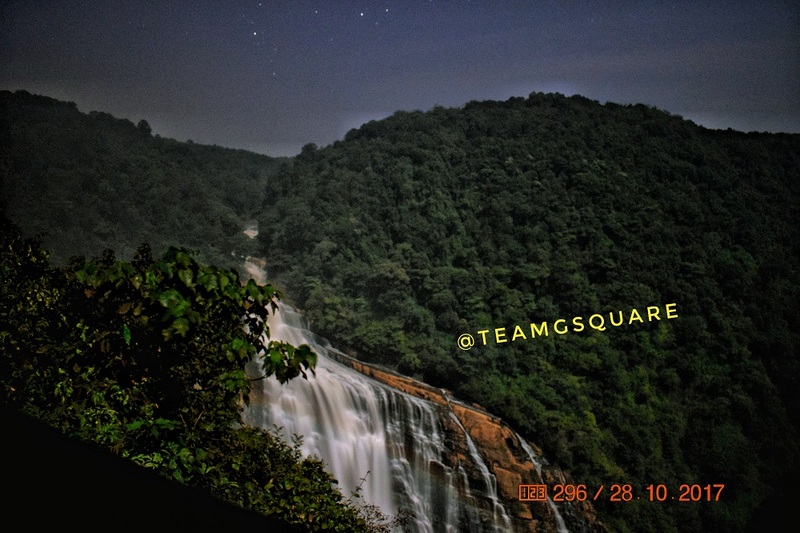 Sometime back, having read about the phenomenon of a Moonbow or Lunar Rainbow occurring at a few waterfalls around the world, we wondered if we would ever get an opportunity to witness this rare phenomenon. The chances seemed were very minimal or nil, owing to the locations of its occurrence previously. 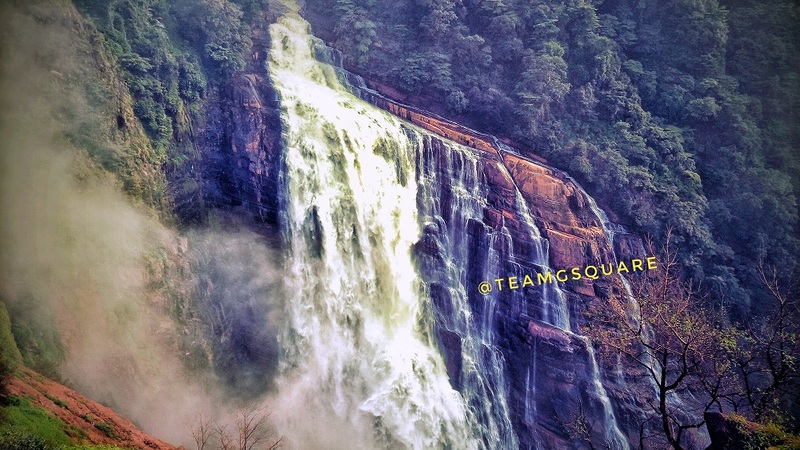 The formation of Moonbow has been documented in 5 locations of waterfalls throughout the world so far, though there could be many such places where the Moonbow would form. One and only such place documented in Asia is our favorite waterfalls of Unchalli. We have the privilege of visiting Unchalli quite often, as Sirsi is always on our annual pilgrimage tour. This year however, we were unable to visit Sirsi earlier due to various reasons. Somehow, we got a chance for a quick visit to this place during the last weekend. As we wanted to visit Unchalli falls in the evening, we had to meet a few locals whom we knew from our previous visits and seek help to get the required permission. A Moonbow or Lunar Rainbow is a celestial phenomenon similar to the usual rainbow, but formed only during moonlight. They are very rare in occurrence and invisible to the naked eye. Moonbows are very faint and believed to occur during a full-moon or bright-moon night. 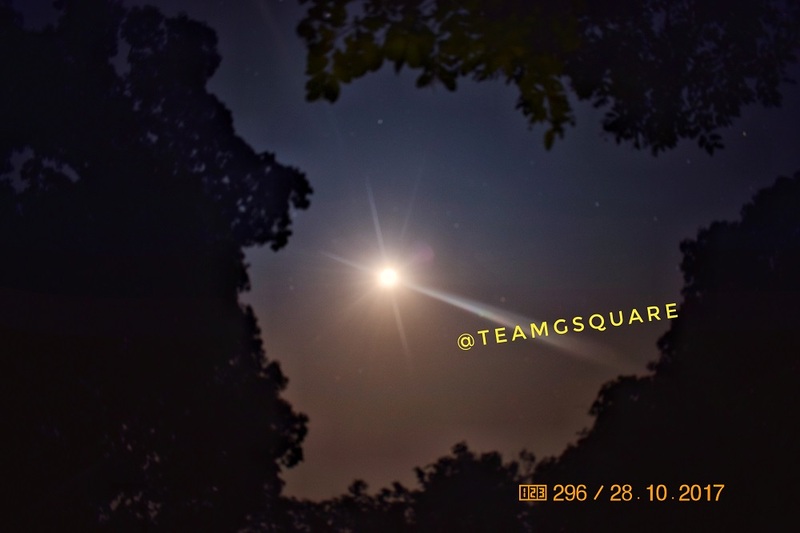 Though capturing them in the right angle is very difficult, there are a few who have been chasing Moonbows at Unchalli since a few years and have succeeded in documenting them only last year. 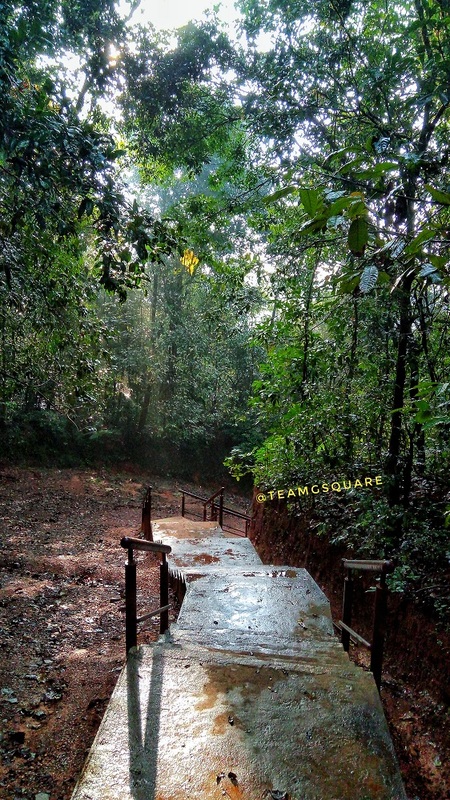 As Unchalli waterfalls comes under the area of reserved forest, there are restrictions of movement during the night times and a strict ban is imposed on camping here. The locals were quite helpful in getting us the necessary permissions from the forest department for a late evening visit. I, along with my friends reached the house of the local friend around 6.45 pm that evening. Taking a moment to refresh, we quickly started our walk towards the view point of the waterfalls. 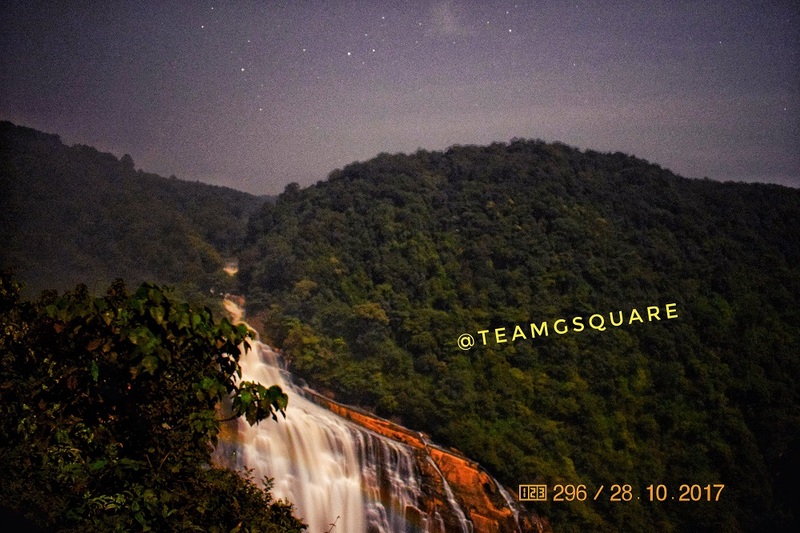 Though that night was a half-moon night or Ashtami Chandra, the falls was clearly visible and we were enjoying our moonlit descent towards the view point. We made sure to be well equipped with torches to help us descend. The view from the watch tower was just splendid! The scene is indescribable in words or sentences! It would easily convert any normal man into a poet. But I instead chose to photograph this spectacular scene, which was quite difficult due to the dim light. After a lot of trials, I managed to get a couple of decent shots of the waterfall. 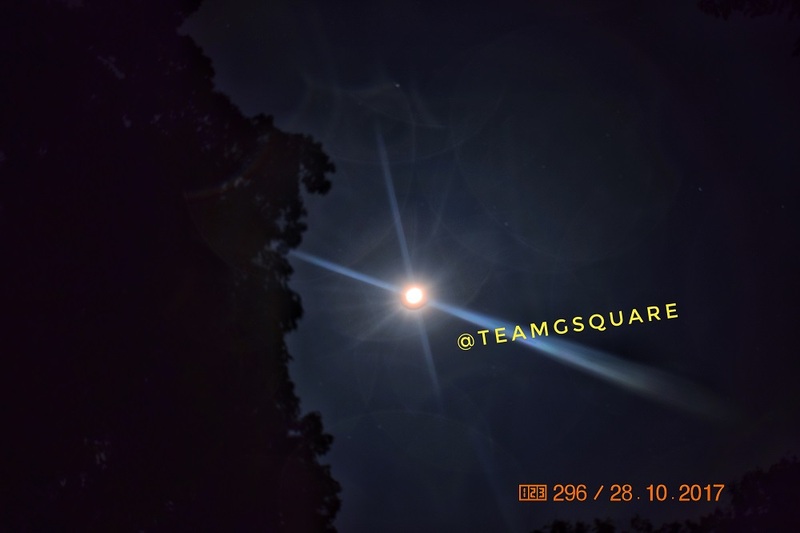 While I zoomed in to take a look at the picture, I was shell shocked to see that we had additionally captured a Moonbow! A quite faint rainbow it is, but is yet so exciting to realize that very few people in Asia have ever been able to witness and capture it. Thoroughly and unbelievably excited I was! Holding the same excitement on reaching home and transferring the pictures to my system, I had a closer look just to reassure it was a Moonbow. I was happy that we were able to capture it on camera. Thus making Unchalli closer and dearer to us. 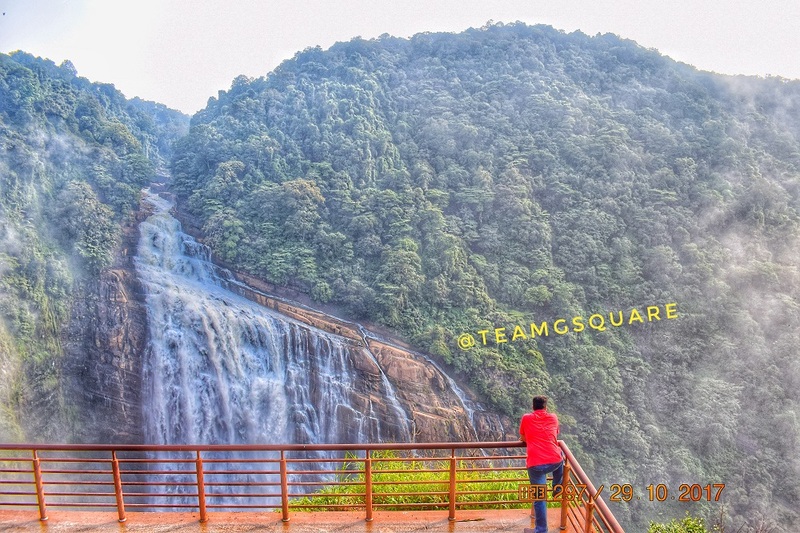 Don't miss to stop by a short video tour on Unchalli waterfalls. 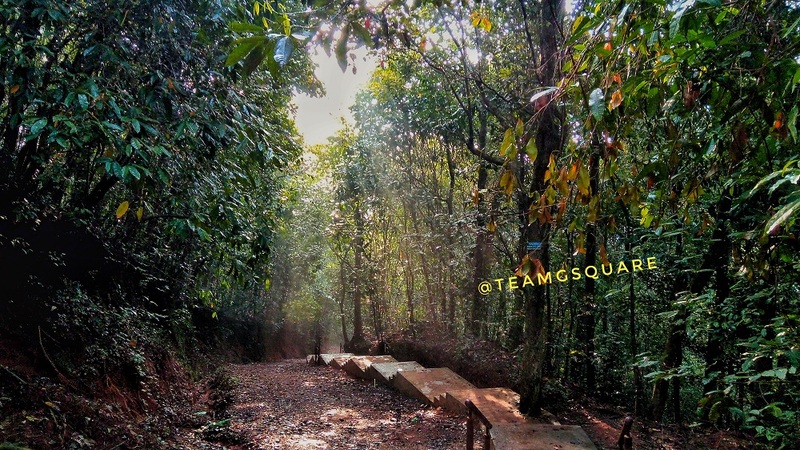 Our humble request to all is 'Please take prior permission from the concerned authorities before heading into the forest area during nights as it comes under reserve forest area'. Also, entry to the falls is prohibited after 6 pm. Remember not to litter the place and leave it as it is for others and future generations to enjoy. You can also read one of our experiences at this waterfalls here. the waterfalls is just oh so gorgeous. Thank-you Oman! And Wish you too a very Happy Halloween!